This is an echo of my earlier post, which was quickly overshadowed by news about Revit 2014 features, just to give it a little more attention. I attended my first RTC in 2006 in Australia, where it all started (in 2005). I've been a fan ever since and even became a committee member to help start the first RTC in North America in 2011. It isn't any single thing that made me a fan. It was the whole of the experience. For example, I knew that every person I saw around me was like me, fascinated by Revit, just Revit then and now by what it has expanded into. I knew that no matter who I listened to, talked with or saw in a hallway that I'd see them again...in a session, in a few minutes or during a break or during dinner and drinks. The value of the social side of the event can't be overstated. People have cultivated great friendships, formed at each event, and these last and prove mutually satisfying for years to come. I can vouch for this personally. If you struggle with getting your firm to support sending you, or if you are the firm, or if you are trying to justify sending your staff consider just the classes alone. If you or someone in your firm was charged with putting together a class of equal quality, compared with any you'll find at RTC, you can reasonably expect a 10-20 hour commitment. That's time spent preparing themselves, making sure they've covered every angle of Revit knowledge they need, then organizing it all, preparing to share it with other staff and finally actually sharing it with them. It might take longer if it is the first time they've had to do something like this, or they might not be knowledgeable enough yet to tackle it all themselves. If this same person attends RTC and returns home not only with the material from the dozens of sessions they attend but access to all the material for each and every class offered at RTC you'll have a wealth of material for FAR less cash outlay than devoting them to developing the same material in-house. It isn't just the classes either. It's the interaction, the setting, the focus, the passion and excitement expressed by others and witnessed by everyone. You can't help but feel reinvigorated. You'll recharge your batteries so to speak. When you leave RTC you leave ready, ready for anything and eager to take it all back to the office. It's just a shame that you can't bring your whole office along to experience it for themselves...well you can...just not many offices will dare to. There are a few firms that do send as many as 10-15 staff as they see it as their annual training for key people. 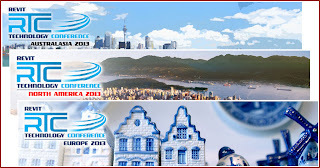 Do your best to attend the nearest conference, you and your firm won't regret it! P.S. 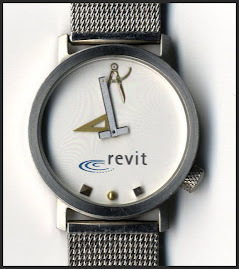 If you represent a Local User Group focused on Revit I'd like to help you get the word out to your members. Get in touch with me so I can pass along information that you can use to make it easier to talk about it at your next meeting.